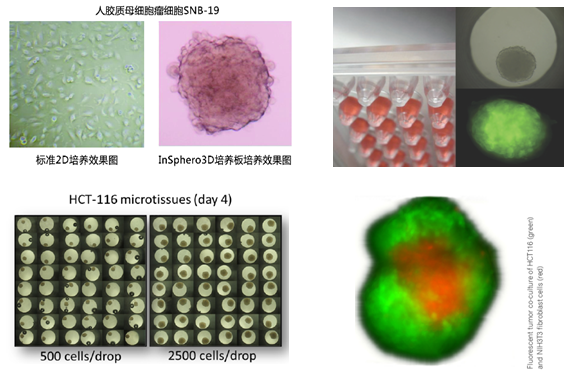 ?Make hundreds of spheroids of uniform size in a single pipeting step. 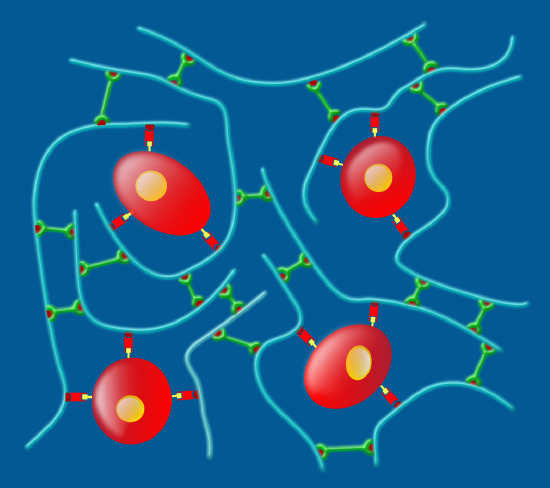 ?Image an array of spheroids on the same optical plane. 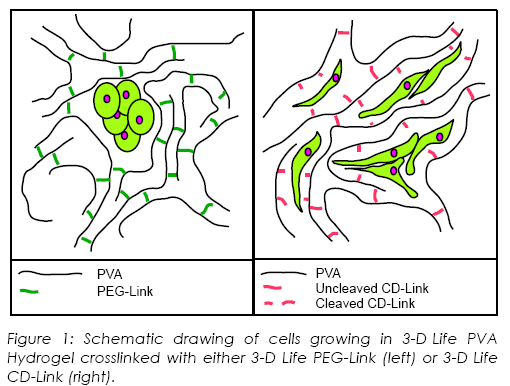 ?Form spheroids of two different cell types. 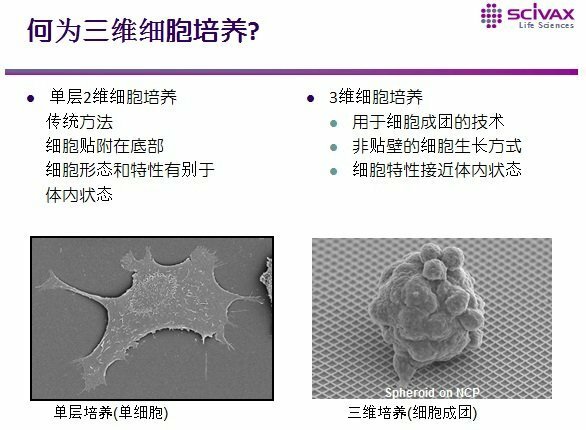 ?Grow spheroids from single cell clones. 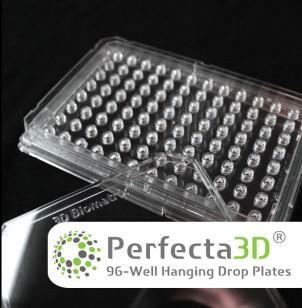 ?Harvest spheroids for RT-PCR and Western Blots without enzymes. 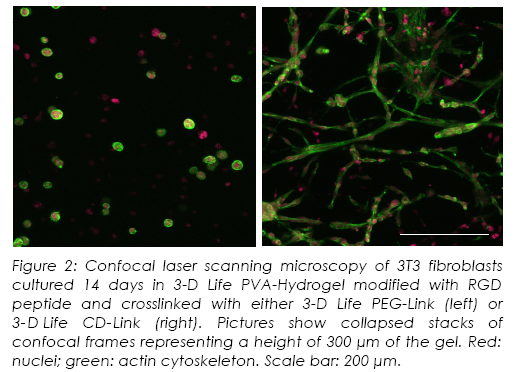 ?Form microtissues in complex shapes for novel applications. Simple and easy to use. The system arrives pre-sterilized and ready for your next experiment. Simply attach the flow loop and begin. 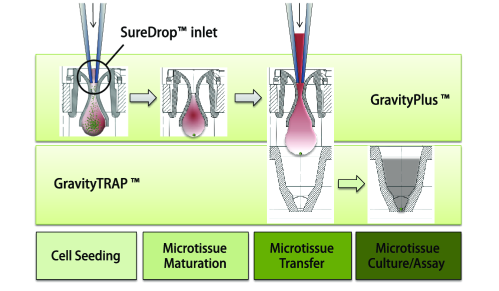 Culture media is perfused tangentially across the scaffold (red arrows), by a standard peristaltic pump. 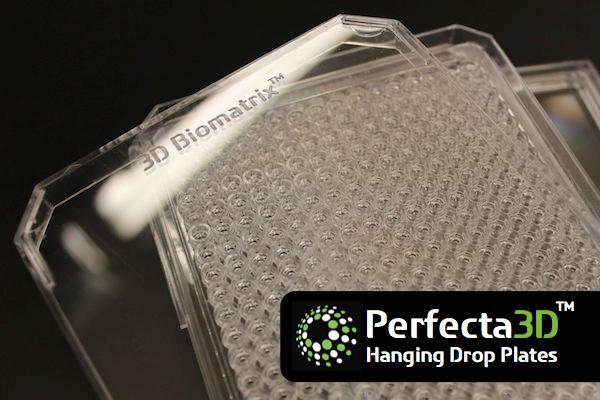 This facilitates complete tissue density through out the scaffold. Oxygen is delivered independent from media, by gassing chambers on top and bottom (blue arrows). 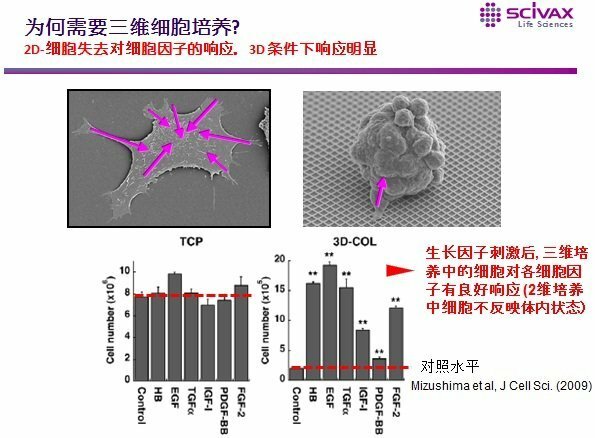 This reduces shear force and enables a more in-vivo like environment by creating gradients of nutrient and oxygen concentrations.